The next CarnageCon is coming up in November! This year’s called Carnage on the Mountain, and will kick off on November 7th and run through the 9th at Killington. Every year in November, Carnage hosts a weekend of tabletop gaming. In 2014, the seventeenth such occasion, from the afternoon of Friday, November 7th, to the afternoon of Sunday the 9th, convention-goers gather at the Killington Grand Resort Hotel in Killington, Vermont, to play the best and newest in tabletop games, including board games, card games, miniatures, and role-playing games. Here’s the Facebook event, and GMs can start signing up to run games. Rooms are currently available at the Killington Grand, both on-site and in adjacent condominium properties. To get the convention rate, you must contact Killington directly. Call 1-800-282-9955 and be sure to say you’re with Carnage to book a room at the convention rate. Not specifying you’re with Carnage or using their online reservation system will result in booking at a greater cost. Here’s a reminder for gamers in Vermont: The Green Mountain Gamers will host their annual Spring Meltdown game day, this coming weekend, on April 12th and 13th at the Lake Morey Resort in Fairlee, Vermont. Entry will be $10 if you preregister, $10.50 if you preregister via credit card with paypal (see here) and $15 at the door. Euphoria run by GM Bethany Creaser – this is a Play and Win game!! Chrononauts run by GM Chuck Burkins – this is a Play and Win game!! Mice and Mystics run by GM Gordon Spaeth. Hegemonic run by GM Alex Clay – this is a Play and Win game! Hegemonic donated by Minion Games. Print Rules, Video Rules 1, Video Rules 2 – this is a long game so we encourage you to learn the rules beforehand. Polyhedral dice bracelets – donated and made by Frank Perricone. This is not an item you bid on but an item you will buy. All proceeds from the sales of these bracelets will benefit the Vermont Foodbank. Pandemic with BOTH On the Brink and In the Lab expansions donated by Z-Man Games. MSRP $89.97. “Carnage Bundle” donated by Carnage Gaming. MSRP – ???? – this is a mystery right now! More details to come! To find out more about the MEGA Meltdown and the Green Mountain Gamers, you can visit their website. We’re going to try something over here, a retrospective on the week, based on the major topics we’ve talked about, with a bit of commentary. Vermont Comic Con – Word that Vermont was getting its very own Comic Con in Burlington has been huge this week, as has our look at Vermont’s history of conventions in The Vermont Convention Scene. Word of Vermont Comic Con has gotten a number of fans excited on Facebook and Twitter, and it’s easy to see why: neighboring Comic Cons in Boston and Manchester have grown in recent years, and it’s not uncommon to see fans from Vermont in the walkways or behind tables. We’re cautiously optimistic for this one. On one hand, it’s the first time that this event will be run (although it’s not the first comic con in Vermont, despite the organizer’s claims.) and they’re in a huge space. Hopefully, they’ll attract a good number of people, and it’ll become a center point for people who follow GMS. We’ll likely be there, although exactly how we’ll be there is up in the air. Geek Mountain State Presents Cold Mountain Stories: A Night of the Fantastic was announced earlier this week, our fourth entry in the Vermont Science Fiction Writer’s Series. We’re pretty excited for this one (as we are for all of them), because we’ve got a really strong lineup of authors. We’ve also started releasing video footage from the first event in the series, Strange as Night, Dark as Fiction #1: F. Brett Cox. We’ve got more footage that’ll come out over the course of April and a new installment will come out next week. Our next reading will take place on April 19th at Quarterstaff Games in Burlington. This weekend marks International Tabletop Day 2014 in Vermont, and there’s a variety of events taking place across the state with places in Burlington, Danby, Fairlee, and Winooski holding official events. Lovecraft in Windham County! was also popular this week. The aforementioned F. Brett Cox is talking about famed horror author H.P. Lovecraft at the Rockingham Free Library next Thursday. We attended another talk by him last month in Montpelier, and it was a pretty interesting one. If you’re in the area, check it out. We’ll have a reminder next week. Second Life for Triple Play Games! Triple Play Games is frequently on our Geek Things event list each morning, and we were pretty sad that the store was closing up shop in Lebanon in March, but excited to hear that they found a new home. They’re opening up again today. Gamers in Lebanon, you won’t be without a gaming store for long: Black Moon Games is moving in. 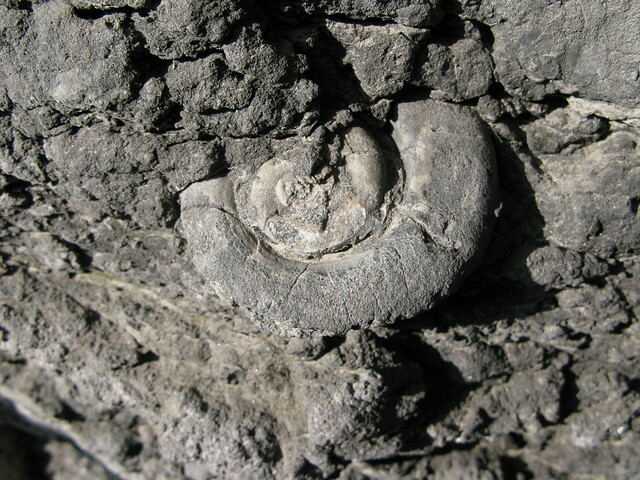 And finally, weirdly, our 2011 post on Fossil Hunting in Vermont was popular this week. Happy hunting, but you might want to wait until the snow vanishes, which should happen … someday. That’s what’s been popular this week – what news were you most happy with? Carnage Noir has opened for preregistration. Convention-goers can download the program book, choose what they’d like to play that weekend and vie to reserve seats ahead of time. Carnage runs November 2nd through the 4th at the Lake Morey Resort in Fairlee, Vermont. The convention hosts all kinds of tabletop games, from the latest and greatest in the trendy Eurogames taking American game-players by storm to old school war games, historical miniatures battles and role-playing adventure. It was a hoot yesterday, watching my social networks light up with reports of convention books appearing in mailboxes across the northeast. The day the Carnage book hits is a bit like Christmas morning: all sorts of amazing goodies are spread across its pages. By the looks of the book, Carnage is gonna be fun this year! With Geek Industrial Complex’s Companions of the Firmament in its final hours of fundraising, designer Neil Carr has created some interesting new stretch goals to round out the month-long campaign. In particular, if the Kickstarter reaches 110 backers — it’s currently up to 96 at the time of writing — Geek Industrial Complex will make “an adventure that would use many different elements of CotF to help illustrate their use in play and inject players into a decidedly aerial environment” available to backers of the Wingmate level and higher, essentially everyone who receives a PDF or more as a reward. This goal comes from Neil’s analysis of previous kickstarted RPGs, where the median number of backers on a successful campaign is 110. Companions of the Firmament is also very close to unlocking still more sheets for flying monsters, allowing GMs to more easily incorporate existing Pathfinder creatures into the supplement’s ruleset expansion. Finally, Neil promises, “I’ll put out one last update at that final hour of the campaign (10:30 EDT) so keep a lookout for it. I want to add some drama to the last few moments of the campaign :)” Can’t wait to see what he’s got cooked up! This week on Carnagecast, the crew has the latest word on what’s in the works for Carnage, the annual gaming convention held in the Vermont side of the Upper Valley at the Lake Morey Resort in Fairlee. Topics of note include the looming deadline for people wishing to get their scheduled games listed in the convention book, what’s already on deck for board games, collectible card games, miniatures and role-playing games, and some discussion of this year’s noir theme and how GMs might take advantage of it. Carnage Noir happens November 2nd through the 4th in Fairlee, Vermont. Carnagecast releases new episodes alternating Mondays.